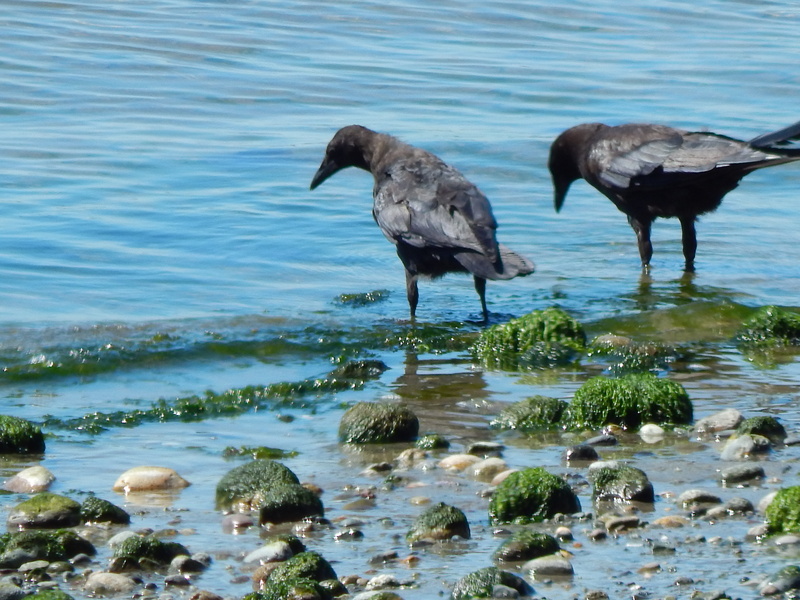 Crows bring their kids to the beach too. The baby crows are getting bigger now and their parents are giving them tough love by turning them loose. I watched these two youngsters wade along the beach. 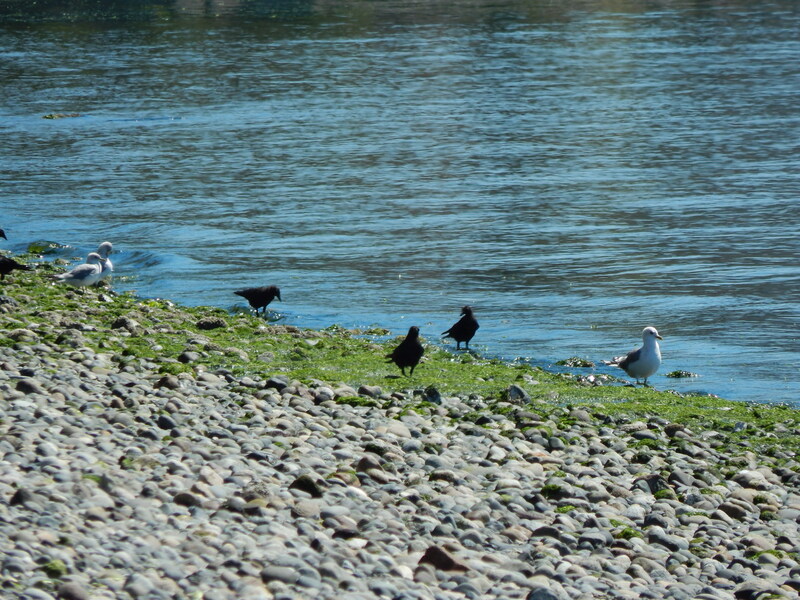 They were picking through the seaweed to find tasty treats. As a human I figured they had to be having fun just like we do as the waves washed over their legs and feet. One of them flew off down the way and this one little guy posed for me. 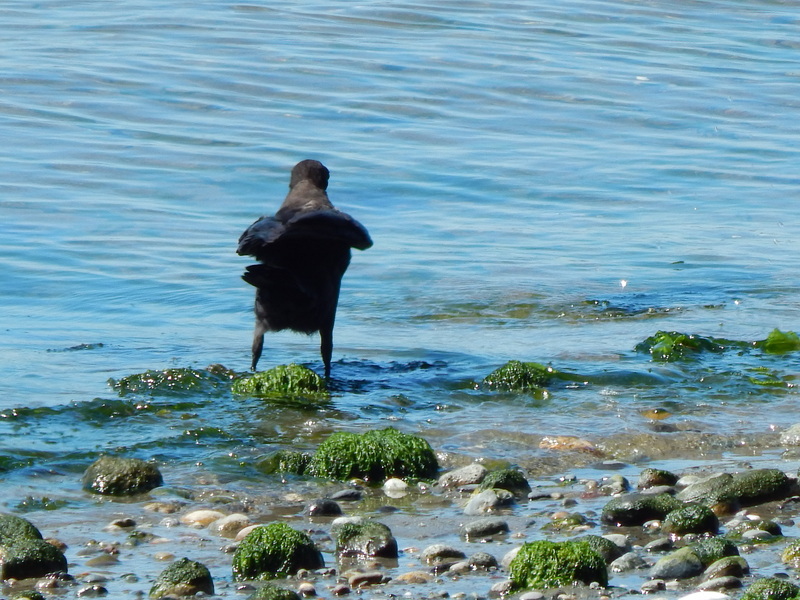 He stared out onto the Puget Sound and fluffed himself a little bit. Skinny legs all exposed to the waves and small debris that is floating around. There is nothing like a short video to give you the best perspective of the wave movement and crow behavior. 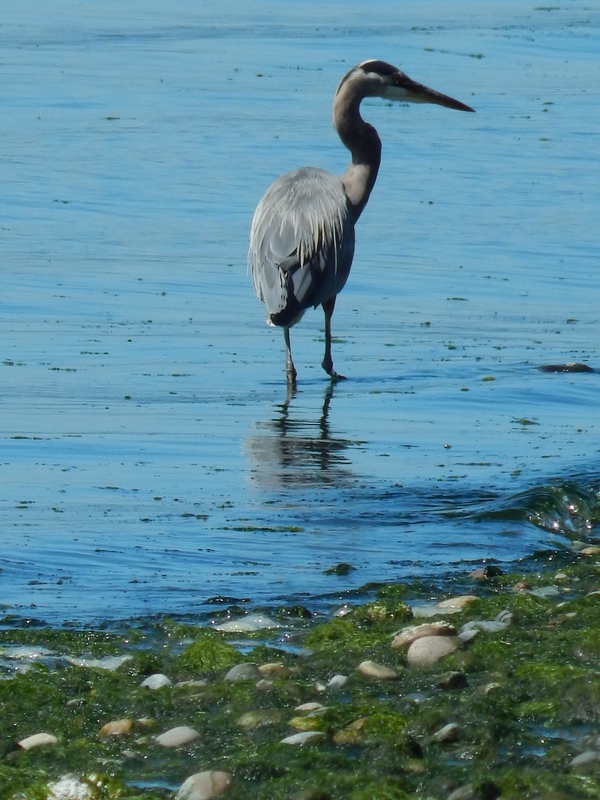 Not only did the crows and gulls love wading in the sound but I captured this Blue Heron getting his feet wet too. This is year round behavior for a heron. They beat out a living catching small fish and other tidbits by standing very quietly and then spearing their dinner. Next time you go to the beach be sure to watch all the waders not just the human ones.